For as long as there has been sport, there has been betting. The question of who will win, when and how, has been asked of every sporting competition throughout the ages. Some sports have traditionally revolved around odds and markets more than others - Horse racing is synonymous with the betting industry. But since the advent of online sports betting, popularity has reached another level. A quick glance at this William hill casino review will illustrate exactly how popular sports betting has become. William Hill's sportsbook is a platform where you can find odds on more than 30 different sports. So, whether it is hurling in Ireland or netball in Brazil, you will be able to place a wager. And it's not just the big leagues either. However obscure you think the fixture or race might be, in all likelihood, it will be covered. Back in the old days of trackside betting or high street betting shops, there was something of a limit to the markets on offer. Standard bets were placed on the result, exact score, first scorer and the score over a set period of time. In today's online world, the possibilities are endless. Take your standard NHL game - There are likely to be something like 80 or 90 markets on offer. From the number of away goals, to the team to win most periods, to a puck line handicap and a whole lot more! Think of any possible scenario at a hockey match and you are a click away from placing a bet on it. Check out this betway casino review for a flavour of the enormous range typically on offer. But the world of online sports betting is constantly evolving, bringing increased possibilities to the betting public. Some of the most recent innovations include live streaming, allowing you to follow a sports event live from your laptop or phone. And as if there weren't enough real sporting events to bet on, many sites now include virtual betting, where an impressively generated digital race or match unfolds before your eyes. And of course, you can place a bet on it. However, the most significant development in recent years is the introduction of live, or sometimes called in-play betting. It has added a whole new dimension to the sports viewing experience. Basically, live betting alters odds in real time as a match, race or fixture unfolds. So as the Maple Leafs vs Canadiens unfolds, the odds will change, depending on who is winning. And if you are watching and think that the latest odds are generous, you can take advantage there and then by placing a bet. Not only is this a whole new, dynamic, real-time betting experience. It also adds a great deal of excitement to actual sports viewing too. As such, live betting is becoming increasingly popular. Many sports books are reporting that live betting is a growing, important chunk of their market. And as new apps are developed, betting in real time from a mobile device is only going to continue to grow in popularity. This type of technological development will enable sportsbook operators to offer more products and markets, while it will be made increasingly simple to place a wager. And who is this trend likely to attract? In all likelihood, it will be the younger, mobile-friendly crowd who demand to have the ability and convenience of doing things on the go. 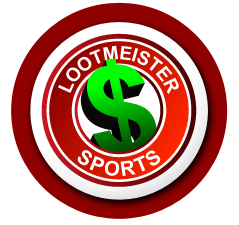 It is this demographic which online gaming sites, including sportsbooks, have traditionally found hard to reach. The spike in live sports betting can only make them increasingly engaged.